The Beatles Shop sells a selected amount of original memorabilia as well as organising the annual Beatles Auction. Perhaps the most popular items of original merchandising are issues of the original Beatles Monthly magazine. 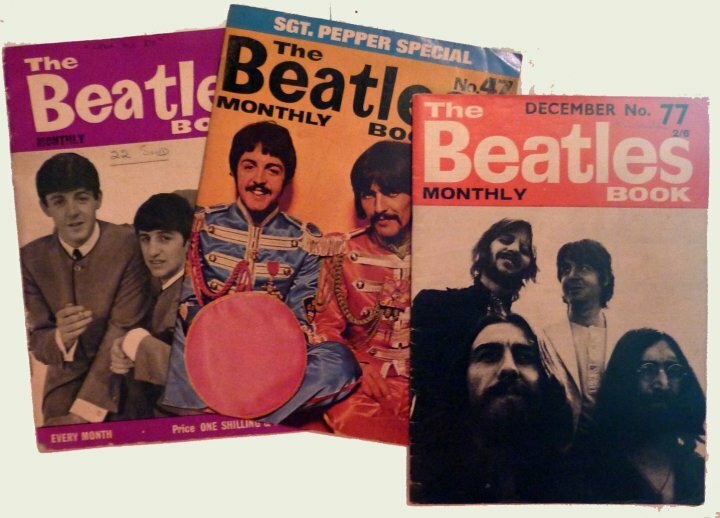 The publication ran from 1963 to 1969, a total of 77 issues. There was also three special Christmas Extras and special repeat issue that featured the best photographs from early issues. The magazine’s photographer, Leslie Bryce had unrivalled access to the group throughout the 1960s, travelling the world and taking thousands of photographs. 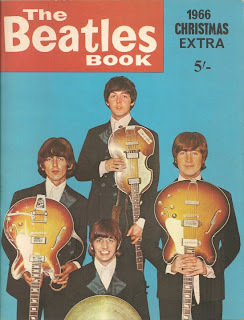 In addition, Beatles roadies Neil Aspinall and the late Mal Evans wrote many of the articles, and artist Bob Gibson created numerous cartoons and caricatures of the fab four on a regular basis. The hardest issues to find are number 1 and the later issues from around 70 onwards, particularly the finally issue number 77. There is also a 1966 Christmas Extra in the auction. This is estimated at £30-£35.